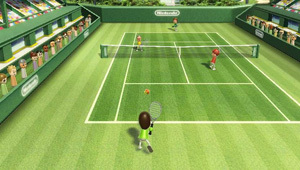 A launch title for the Wii and packed in with every Wii console in the US and Europe, Wii Sports brings five popular sports played with the Wii Remote motion controls. The game includes Tennis, Golf, Baseball, Bowling and Boxing, and keeps records of your achievements in each game. You can play as your Mii character, and up to four players can take part in most of the games. 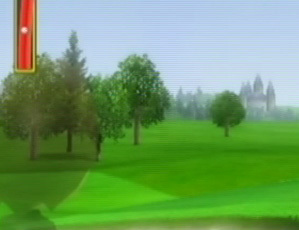 The Wii Sports version of golf features nine holes – but they are not new course designs. 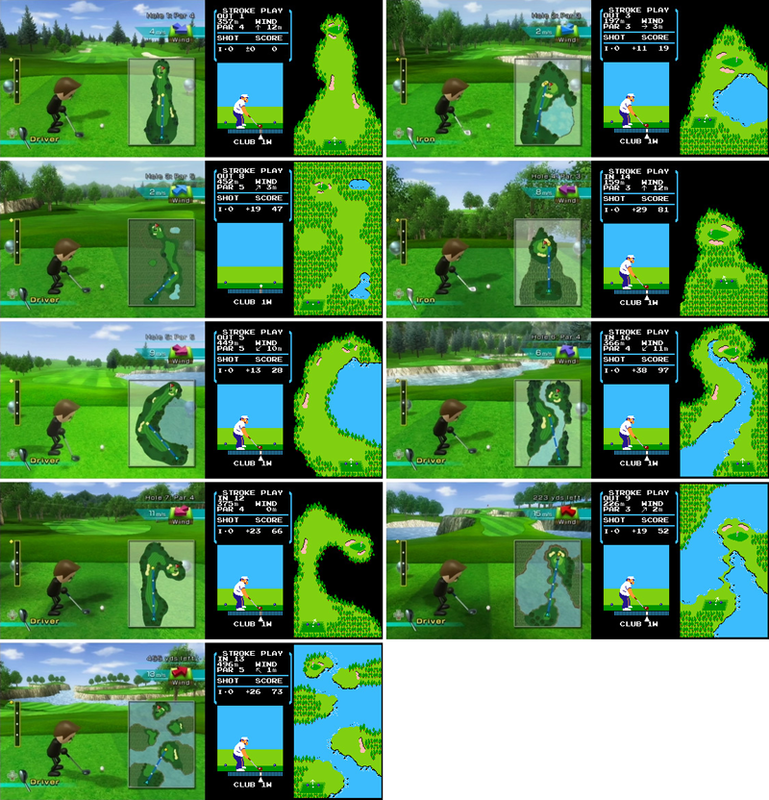 All of the courses have been adapted from Golf, Nintendo's first golf game on the NES. On Golf, course 5, make it to the green and look into the distance. You can see a castle in the distance that looks a lot like Peach's castle from the Mario series.